Animal Print Nails for the #31DC2017Weekly - Polish Etc. The animal print prompt of the 31 Day Nail Art Challenge is always fun. There are the classic prints like leopard, cheetah and zebras that get used a lot in nail art in general. I am always excited to see what other animals people are inspired by. I have done turtles and snakes and giraffes for the challenge previously. This year, I went with a simple fish design. The clown fish is so fun. They have great little attitudes and have a bold design. 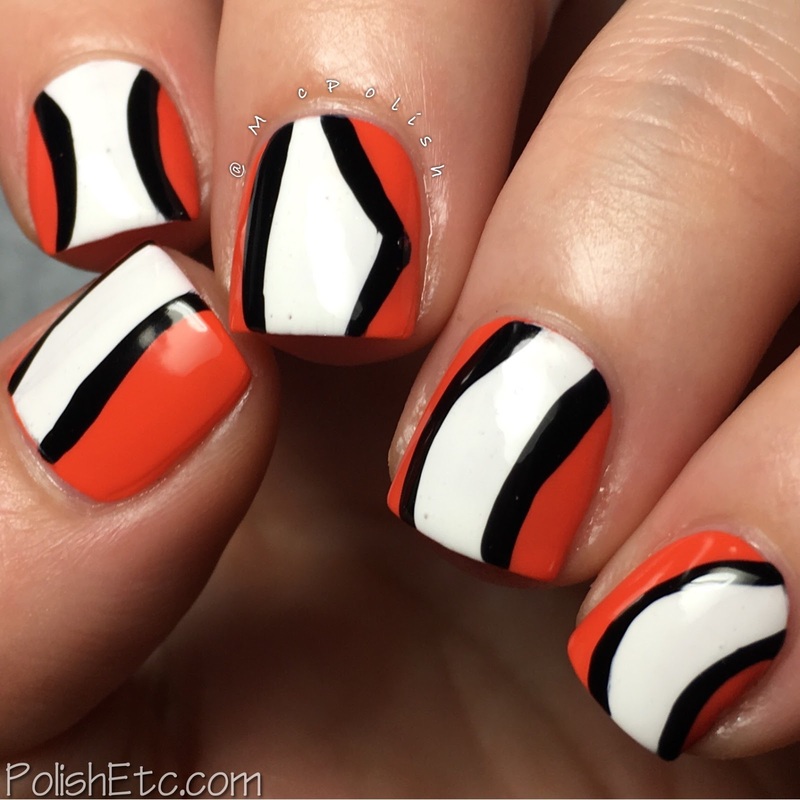 My nail art is quite simple, but hopefully, you will see the clown fish right away. Plus...who doesn't love Finding Nemo? I am still trying to use mainly Zoya polishes for my challenge manicures. For this one, I started with a base of "Cam" which is a bright medium orange creme. Then, I swiped on "Purity" to mimic the white striped pattern on the fish. Then using a black striper, I outlined the white patches. I topped it all off with a glossy top coat. 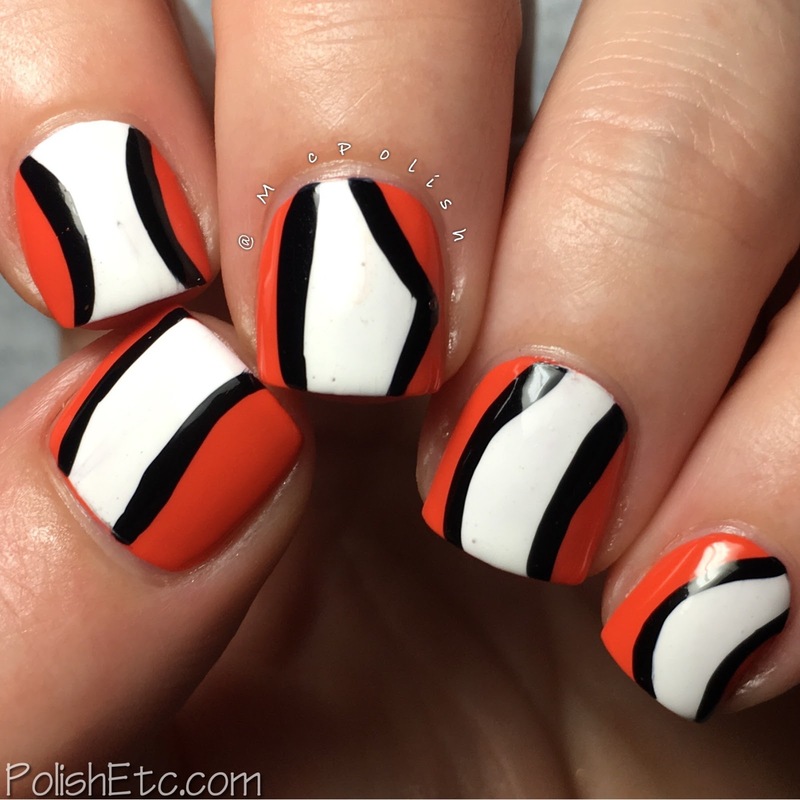 Easy nail art but still gives the impression I was looking for. Tropical fish are so colorful. There are hundreds of interesting patterns to choose from. Which fish would you like to see made into nail art? Be sure to check out all the other ladies joining in on the challenge by checking out the tag #31DC2017Weekly on Instagram, Facebook and Twitter.